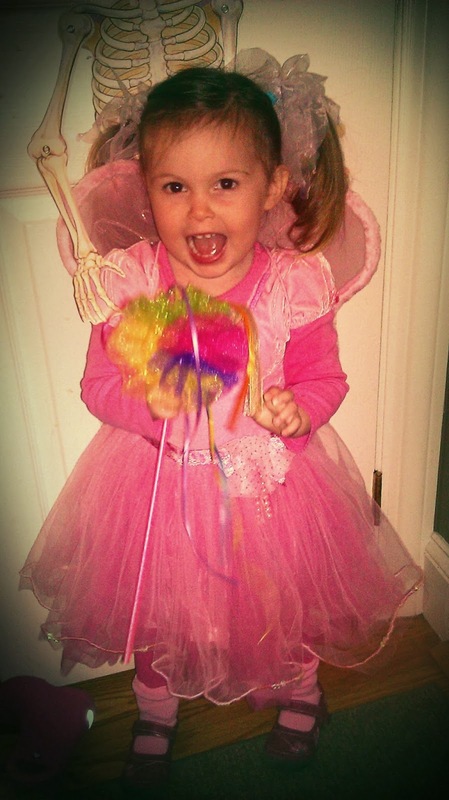 ﻿﻿﻿﻿﻿Josie is ready for trick or treating in her princess fairy butterfly ballerina costume! Costume is a hand-me-down! Other accessories from Party City! 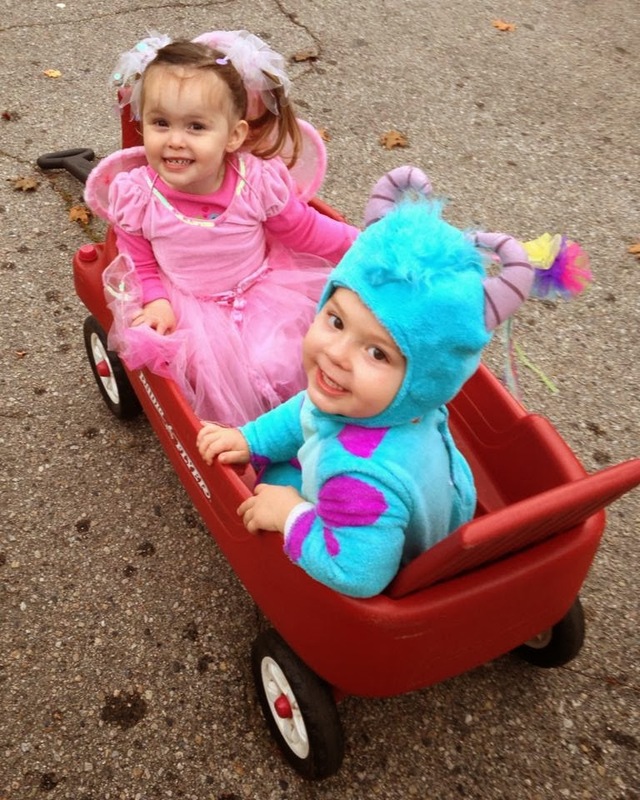 A princess and her monster are ready for the Greenwood parade! 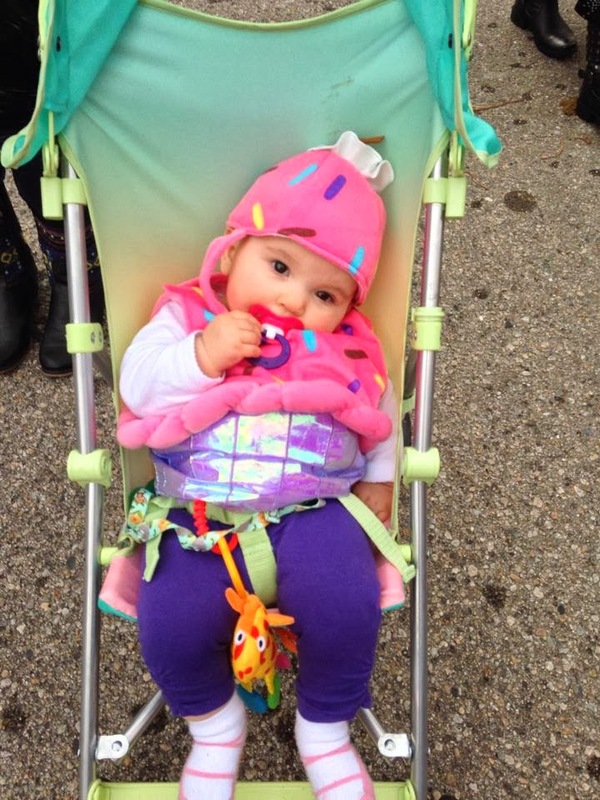 At 6 months, Madelyn is not really feeling Halloween this time around. 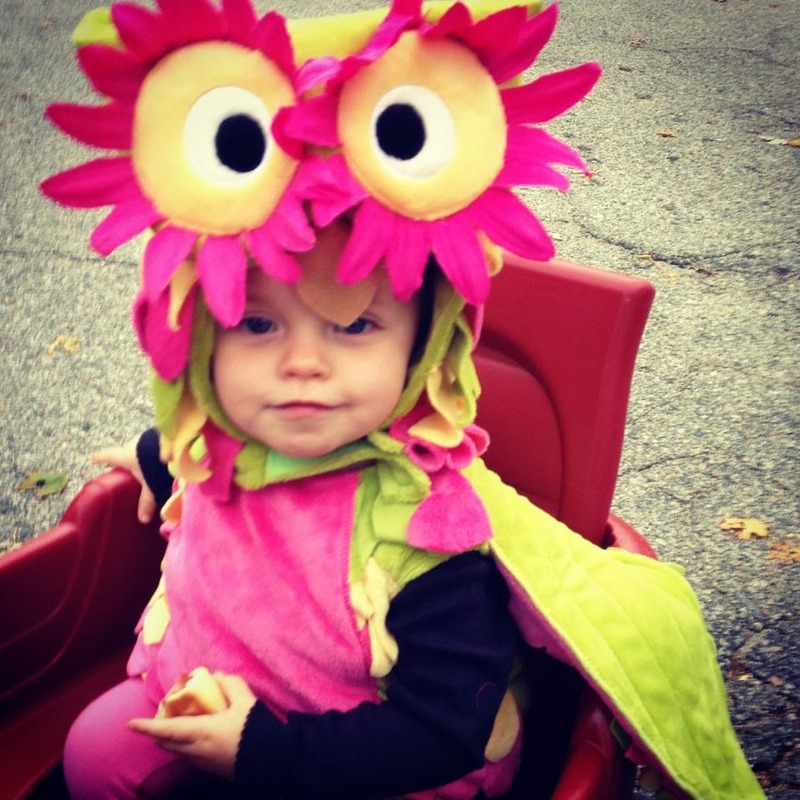 Grace indulged us for a moment and actually put on the owl head! 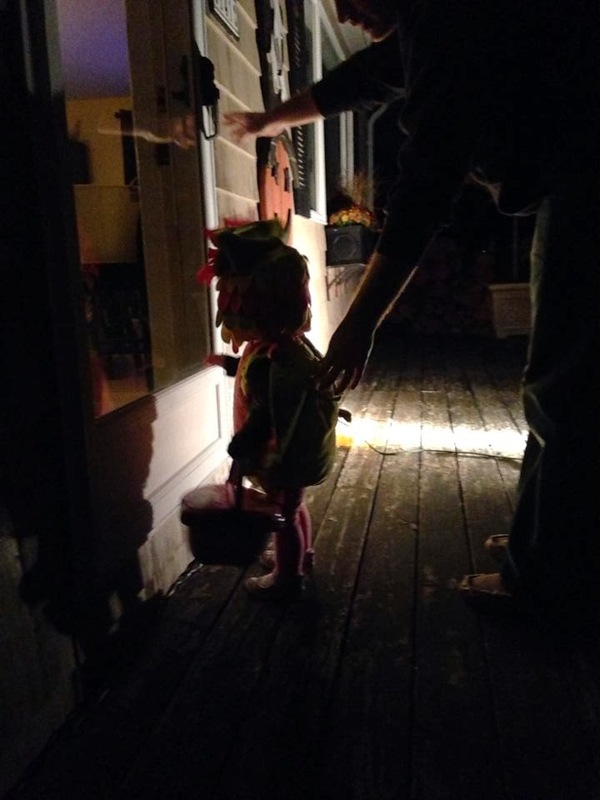 Then things got dark and it was time to Trick or Treat!